The US Government recently imposed Anti-dumping duties against the Chinese solar panel companies with the total quantum of duties to reach around 35-36% for most of the Tier 1 Chinese solar panel players. This is more than what was expected by the solar industry and has led to a vociferous protest from sections of the Chinese Government. Not surprisingly, a large chunk of the USA Solar Industry too has protested against these duties. Many of the solar companies are in the installation segment where cheaper solar panels from China means more profits and more sales. What is not very well known outside the solar industry is that a major percentage of sales of US polysilicon companies and solar equipment firms go to China. US Polysilicon Companies like Hemlock as well as factories of European companies like Wacker, REC fear the worst. Chinese polysilicon companies have closed down because of their higher costs due to stiff competition from non-Chinese players. The Chinese Government has a big reason to retaliate against the US solar poly companies now that its solar panel organizations have been hit. The overall effect of the duties on Chinese solar panel companies will not be that big as they already have plans to circumvent the US duties which have been prepared long time ago. All it would do is raise the prices of the solar panels slightly. It would not make the surviving US solar panel companies competitive as the Chinese solar panel prices are far below that of US made solar panels. US Solar equipment companies like Applied Materials and GT Advanced Technologies too might face the ire of the Chinese government and companies who could look at alternatives in Europe. According to Digitimes, the way it is being done is by these polysilicon companies selling additional quantities at $10/kg which is less than 50% of the cost. This gives the Chinese trade authorities concrete evidence if they decide to impose anti dumping duties on polysilicon imports. Not only 5-6 polysilicon companies in China continue to operate due to the price crash. These companies like Renesola, LDK , GCL, Daqo New Energy will benefit massively if the government imposes duties. These companies will see their selling prices go up by 30-50% and also their volumes go up by a large amount, which will allow them to utilize their full capacity. Not only is the Chinese Government going after the foreign solar companies, but Germany has also decided to join in the fun. Note the German solar industry has been ravaged by imports from China with most of its world leading companies like Q-Cells, Centrotherm already bankrupt and SMA Solar could be the next candidate. Solarworld which has championed the fight against solar panel imports from China in the USA, is leading the charge in Germany as well. However it is difficult to see what benefit the German Government or its companies will manage now, with most of its solar industry already finished. Also the US solar panel duties have failed to stop the continuous bankruptcies of solar panel companies in the US. It has only increased the solar panel prices for customers without denting the marketshare gains of the Chinese majors like Trina, Yingli and others who have managed to easily circumvent the duties imposed by the US (also predicted by us earlier). The USA and China are locked in a bitter tiff over solar panel imports from China. Note Solarworld filed a petition with the ITC which in all probability will put an anti-dumping duty on Chinese solar modules. Other countries whose solar panel producers have been swamped by the super cheap Solar Panel imports too are thinking of special custom duties. However the big Tier 1 Chinese solar panel makers are not sitting idle. They have already come out with strategies to circumvent the US Solar Panel Duties if they are imposed. 1) Set up solar module plants in the US and use cells made in China by their factories. Building a 50 MW solar module plants hardly costs much money. They can also outsource it to plants in Malaysia and Canada. 2) Buy Solar Cells from Taiwanese Solar cell makers which have huge capacities without the competitiveness of the Chinese solar panel makers. Note Taiwan does not have strong low cost integrated solar players like China. They also lack the heft of the South Korean chaebols like Samsung and LG. So they can be easily exploited by the Big Chinese Solar Companies. The Ministry of Commerce said that it would open anti-dumping and anti-subsidy probes on U.S. imported polysilicon, as well as an anti-dumping probe on South Korean imports of the raw materials used to make solar products. The ministry issued the decisions in two statements on its website, citing preliminary evidence from several companies — GCL Poly-Energy Holdings, LDK Solar, and Daqo New Energy. China’s move came a day after Germany’s Environment Minister Peter Altmaier gave backing to German companies’ efforts to launch anti-dumping proceedings in Europe. Germany is the world’s largest solar market. “I can tell you that I will support (Germany’s solar companies),” Altmaier told German broadcaster ZDF. 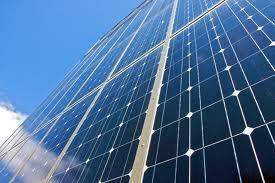 German firm SolarWorld has led calls for action against Asian cell and module makers. “In order to introduce such proceedings there must be a quorum of industry representatives, who bring a suit to the European Commission. This has not yet taken place. What the minister said yesterday was that he would support such a procedure,” a spokeswoman told a government press conference.